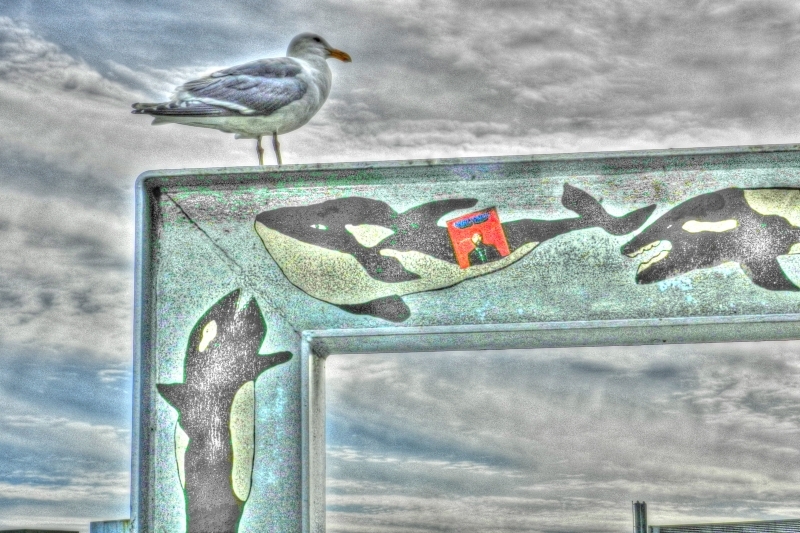 I only had my little P500 with me when I noticed a gull perched on a decorated steel frame over the walkway that I was traversing. The image was awful when I transferred it to the computer (way too much contrast) but I hated to lose it. After some Photo Shopping this is the result.